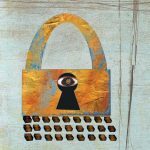 The House passed the Email Privacy Act (H.R. 387) yesterday, bringing us one step closer to requiring a warrant before law enforcement can access private communications and documents stored online with companies such as Google, Facebook, and Dropbox. But the fight is just beginning. We’ve long called for pro-privacy reforms to the 1986 Electronic Communications Privacy Act (ECPA), the outdated law that provides little protection for “cloud” content stored by third-party service providers. H.R. 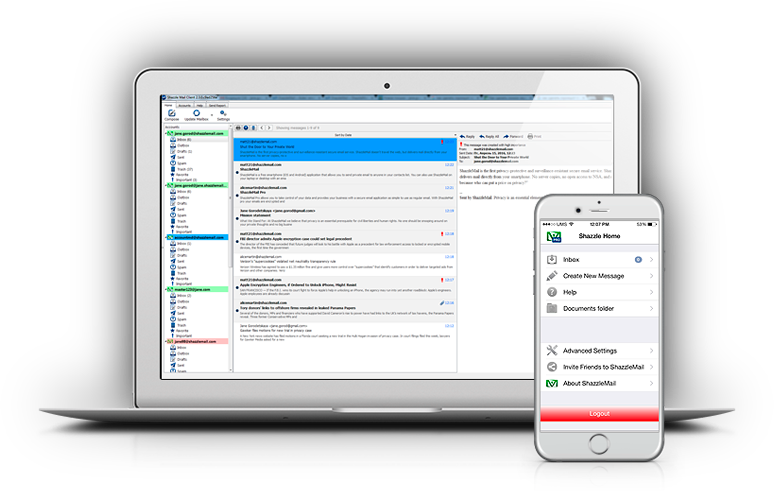 387 would codify the Sixth Circuit’s ruling in U.S. v. Warshak, which held that the Fourth Amendment demands that the government first obtain a warrant based on probable cause before accessing emails stored with cloud service providers. 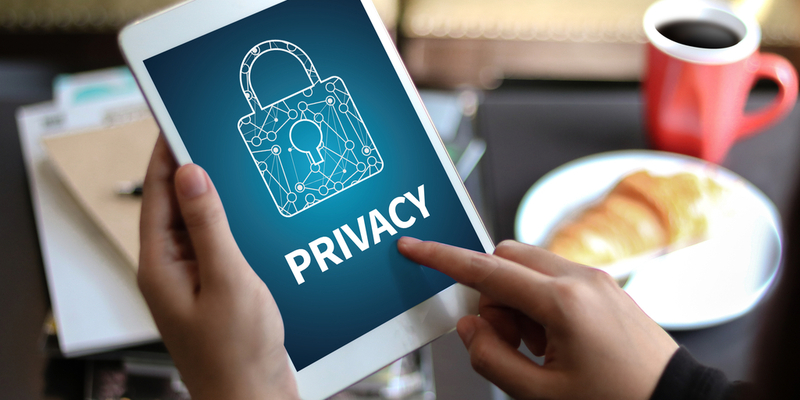 While imperfect—the House-passed bill doesn’t require the government to notify users when it obtains their data from companies like Google—the reforms in the Email Privacy Act are a necessary step in the right direction. 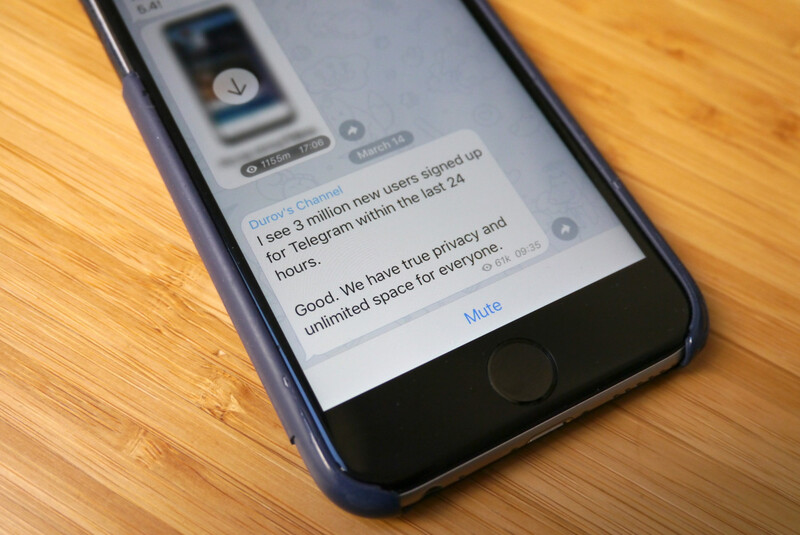 EFF and more than 60 other privacy advocates, tech companies, and industry groups wrote to lawmakers asking them to approve the Email Privacy Act. Now the Senate needs to take up the measure and send it to the president’s desk without weakening it. 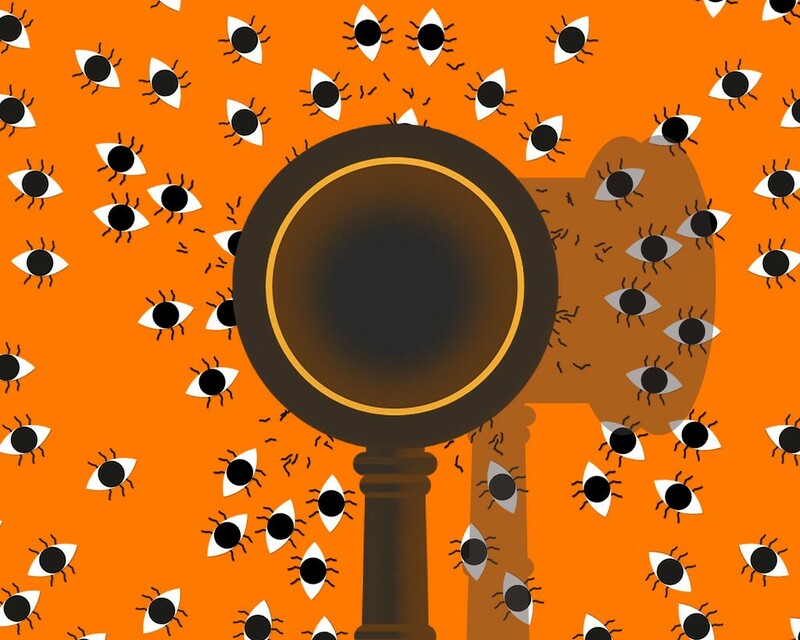 Despite the fact that the House voted 419-0 to pass the Email Privacy Act last year, it stalled in the upper chamber, where senators attempted to use the incredibly popular bill to attach additional provisions that would have harmed Internet users’ privacy. Such “poison pill” amendments included one that would have expanded the already problematic Computer Fraud and Abuse Act, one that would have allowed the FBI to get more user information with National Security Letters, and amendments that could have made it easier for law enforcement to abuse the exemption in the law that grants access to user data in the case of emergencies without judicial oversight. Senators need to be vigilant about fending off these kinds of amendments when the Email Privacy Act is considered in the Senate this time around. The House’s unanimous vote on the Email Privacy Act last year and yesterday’s voice vote demonstrate bipartisan agreement that the emails in your inbox should have the same privacy protections as the papers in your desk drawer. We urge the Senate to swiftly pass the H.R. 387 to protect online content with a probable cause warrant. 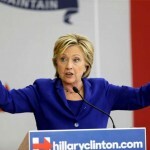 (CNSNews.com) – In a March 4, 2015 email to Hillary Clinton’s lawyer Cheryl Mills, Clinton’s eventual campaign chairman John Podesta asks if they should withhold email exchanges between Clinton and President Obama that were sent over Clinton’s private server. Mills did not respond by email. The Clinton-Obama emails were turned over to the State Department, which later announced it would not release them. “As the White House has previously stated, Secretary Clinton and the President did on occasion exchange emails. As they have also said previously, such presidential records shall remain confidential to protect the President’s ability to receive unvarnished advice and counsel but will ultimately be released in accordance with the Presidential Records Act. “I can confirm that 18 emails comprised of eight distinct email chains between former Secretary Clinton and President Obama are being withheld in full from the State Department’s FOIA production today of…former Secretary Clinton’s emails. It was five days previously, on March 2, 2015, that The New York Times reported for the first time that Clinton had used a private email account and server to conduct official government business while serving as secretary of state. On March 9, Obama’s spokesman clarified that the president knew Hillary Clinton conducted business on a nongovernment email account while serving as secretary of state, but he had only recently learned the details of the privately run system, including her exclusive use of a private server. WikiLeaks released yet another batch of hacked emails from inside Hillary Clinton’s campaign Wednesday, and with them came another round of embarrassing headlines and new glimpses of internal anxiety over the candidate’s weaknesses. Republican Donald Trump and his allies seized on the emails, which reveal comments by an aide about Catholics, a line from a paid speech in which Clinton might be seen as playing down the threat of terrorism and an internal dispute over potential conflicts of interest posed by the Clinton Foundation. The drip-drip-drip of damaging attention is likely to continue. 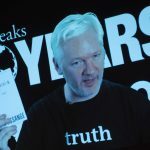 WikiLeaks, the anti-secrecy organization, began releasing new messages last Friday from the personal email account of Clinton’s campaign chairman, John Podesta, and has promised to issue tens of thousands more. The correspondence reveals a campaign that has struggled all year to improve a flawed candidate. As far back as March, aides were keenly aware that she was resistant to the media, perhaps out of touch with regular Americans and unable to convey a clear message to voters. A month before Clinton launched her campaign, her aides worked to corral her well-known love for granular policy details into a message that would both capture her agenda and present a forward-looking, aspirational vision for her presidency. Nearly a year later, a similar struggle cropped up as they attempted to revise her core campaign message. 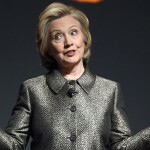 “Do we have any sense from her what she believes or wants her core message to be?” asked Clinton adviser Joel Benenson. Benenson contrasted the simplicity of Sen. Bernie Sanders’s anti-Wall Street message with Clinton’s multitiered campaign slogans. Seven months later and on the cusp of Election Day, the concerns laid out in these emails and others largely remain. Clinton has proven to be a lackluster candidate who has struggled to win over the liberals who gravitated to Sanders during the primary, and who remains ahead in large part due to Donald Trump’s historic weaknesses. “Right now I am petrified that Hillary is almost totally dependent on Republicans nominating [Donald] Trump,” Brent Budowsky, a political columnist and former political adviser, wrote in a March 2016 email to Podesta and Roy Spence, an ad maker for the campaign. “She has huge endemic political weaknesses that she would be wise to rectify. “Even a clown like Ted Cruz would be an even money bet to beat and this scares the hell of out me,” Budowsky added. Indeed at least one aide, Benenson, believed that Sen. Marco Rubio (R-Fla.) posed the greatest threat to Clinton if he were to become the Republican nominee. Hovering over the trickle of embarrassing emails are suspicions both within the Clinton campaign and in intelligence circles that Russia is behind the hack. The FBI is investigating the cyber incident as part of a broader inquiry into Russian hacking of political organizations such as the Democratic National Committee, law enforcement officials said. Clinton and her allies have linked the hacking to an attempt by the Russians to influence an American election. Regardless, the emails are likely to be a source of headaches for Clinton from now until Election Day. The Clinton campaign has declined to confirm the authenticity of the emails, nor has it denied it. At a Wednesday afternoon rally in Lakeland, Fla., Trump called the WikiLeaks revelations “big stuff” and repeatedly slammed his Democratic rival over them. “The Hillary Clinton documents released by WikiLeaks make more clear than ever just how much is at stake on Nov. 8. She would be the most dishonest and the most corrupt person ever elected to high office,” Trump told the crowd. His campaign held a conference call with reporters singling out an exchange showing campaign communications director Jennifer Palmieri describing people who convert to Catholicism. “I imagine they think it is the most socially acceptable, politically conservative religion — their rich friends wouldn’t understand if they became evangelicals,” Palmieri wrote, according to WikiLeaks. Palmieri, who is Catholic, said Wednesday aboard Clinton’s campaign plane that she has no recollection of the email. House Speaker Paul D. Ryan seized on the email in a statement denouncing the Clinton campaign’s “disdain” for the Catholic faith, although he cited a portion of the email not written by Palmieri or any other Clinton staffer. The emails also show the campaign’s internal struggle with how best to address the controversy surrounding the use of an email server while Clinton was at the State Department and her resistance to her aides’ counsel about how best to but the issue aside. In March 2015, Nick Merrill, now Clinton’s traveling press secretary, wrote to Palmieri suggesting that Clinton sit down with comedian and writer Larry Wilmore, who was already scheduled to appear with Bill and Chelsea Clinton at a Clinton Global Initiative event. “HRC is not slated to join, but maybe she should,” Merrill wrote, suggesting Wilmore could make a joke about hearing Hillary Clinton is a big emailer. As the email issue persisted, top aide Huma Abedin asked Clinton’s advisers in May 2015 whether Clinton could “survive not answering questions from press” at events during the first leg of the campaign when she rolled out new policy. “In the fall, starting to do avails at message events, interviews, and Q and A with press but having had a series of policy proposals already announced and reported on that she could point to,” Abedin suggested, seemingly to relay Clinton’s thinking to a number of top aides. Podesta disagreed in no uncertain terms. A similar debate re-emerged in 2016, after Clinton went months without answering questions from her traveling press, only to change course after Labor Day with more frequent news conferences. Still unable to lay the email issue to rest in 2015, Clinton’s aides talked about their effort to persuade Clinton to use the decision to turn over her server to the Justice Department as an “opportunity” for her to be seen as having dealt with the issue. “It is clear that she is not in same place (unless John has a convo with her and gets her in a different place),” Palmieri wrote in August 2015. To this day, Clinton’s email server is a major part of Trump’s case against her and is regularly cited by voters as among the reasons they don’t trust her. The battle with Sanders also proved challenging. Campaign aides sought to balance the need to reduce the damage his candidacy did to hers by bringing the primary to an end while also not alienating his liberal supporters, whom she planned to rely in during the general election. “Combined, Sanders proposals would put the government in control of more than half of the American economy, but Sanders has never told anyone who would pay for all of this or how it would work,” she wrote. Others warned against attacking Sanders too hard — and risking turning away his supporters. The emails show that Clinton’s campaign also worried about the influence of Sen. Elizabeth Warren (D-Mass.) over the left wing of the party and the possibility that she might endorse Sanders. In October 2015, as Sanders was attracting huge crowds on the campaign trail, Grunwald asked whether Clinton should modify her views on a proposed banking regulation to mollify Warren. And Clinton mused about her own shortcomings and challenges with being a more authentic candidate in an off-the-record interview she had with New York Times journalist Mark Leibovich in the summer of 2015. The leaked emails also offer a glimpse of the often plodding nature of her campaign. While Trump often speaks off the cuff — and his staff doesn’t even know some of what he’ll say — most everything Clinton does is scripted. On an email chain in October 2015 that included more than a dozen aides, there was great debate over whether Clinton should tell a joke at an Iowa dinner about her grueling 11-hour testimony before a House panel investigating the Benghazi attack. In the end, the line never saw the light of day. 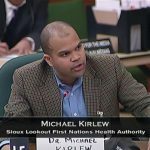 ‘What are they doing with the data?’ Dr. Mike Kirlew spoke to a Parliamentary committee earlier this year about his concern over the detailed diagnostic information Health Canada collects about First Nations patients. More than 20 doctors in northwestern Ontario say they will stop following Health Canada policy starting Tuesday, because of concerns over their patients’ privacy. For years doctors who provide care for First Nations people in remote reserves have been required to provide Health Canada clerks with detailed diagnostic information about their patients for the patients to access medical travel grants. The doctors say that is an invasion of privacy and leads to a situation where an anonymous clerk at Health Canada can deny access to care. “I don’t like the fact there could be a list somewhere in Ottawa of all the First Nations people who are medically incapacitated,” said Dr. Mike Kirlew of Sioux Lookout. Health Canada requires the detailed diagnostic information under the federal non-insured health benefits program that covers First Nations people for drugs, dental and vision care and other benefits not covered by provincial health insurance. Health Canada clerks regularly ask for a patient’s condition when Dr. Kirlew has requested travel for a patient to see a specialist or undergo a diagnostic procedure, he said. The patients Kirlew and the other doctors serve live in isolated First Nations where there are no hospitals and no resident doctors. Denying travel for them is denying access to health care, Kirlew said. The Northern Physicians group wrote a letter to Health Minister Jane Philpott on Sept. 30, outlining their concerns and signalling their intention to stop following Health Canada policies as of Oct. 11. Health Canada is responsible for the health needs of First Nations people living on reserve in Ontario. Provincial health travel grants in Ontario require only a doctor’s signature with no further requirement to reveal private medical information, Dr. Kirlew said. But provincial travel grants would not cover the cost of flights from remote First Nations communities. There is also a double standard when it comes to assistance to pay for prescription drugs — Health Canada requires more private information than the provincial drug benefit system, he said. The root of the problem, according to the northern doctors, is that First Nations people have fewer protections under the Federal Privacy Act than people covered by the provincial Personal Health Information Protection Act, which has much tighter controls on patient information. NDP MP Charlie Angus, whose Timmins-James Bay riding includes several First Nations, wrote to the federal privacy commissioner about the doctors’ concerns on Thursday. “It’s absolutely unbelievable that we could have a situation where the relationship between a doctor and a patient could be interfered with and undermined and overridden by some bureaucrat in Ottawa who decides they’ll save money by just denying treatment,” Angus said in an interview with CBC News. For both Dr. Kirlew and Angus, the privacy issue is just one example of discrimination against Indigenous people within the Canadian health care system. A spokesperson for the Health Minister says she is aware of the doctors’ concerns and working to address them. Paul Combetta is an employee of Platte River Networks, and he became a household name when he was granted immunity in exchange for his testimony regarding the Clinton emails — which were stored on servers maintained by Platte River Networks. And now Reddit users are coming forward with archived information that suggests Combetta may have needed that immunity.. They also reported that several Reddit threads started by Stonetear lined up with the Clinton email cover-up in both content and timing. For example, an FBI report notes that the House Select Committee on Benghazi called for Clinton to produce her emails on July 23, 2014..
Then, in December of 2014, Clinton aide Cheryl Mills submitted a request asking that the email retention policy be shortened to a 60-day window. “Mills had asked Platte River in December 2014 to change its ¬email retention policy for Clinton to just 60 days, according to the FBI report. Later the firm would be ordered to start purging emails after only 30 days. Combetta was called to testify before Congress last week and invoked his 5th Amendment right to refuse. Kent Eichner, a lawyer representing Platte River Networks, did not deny Combetta’s connection but said that there would be no statement forthcoming from the company.